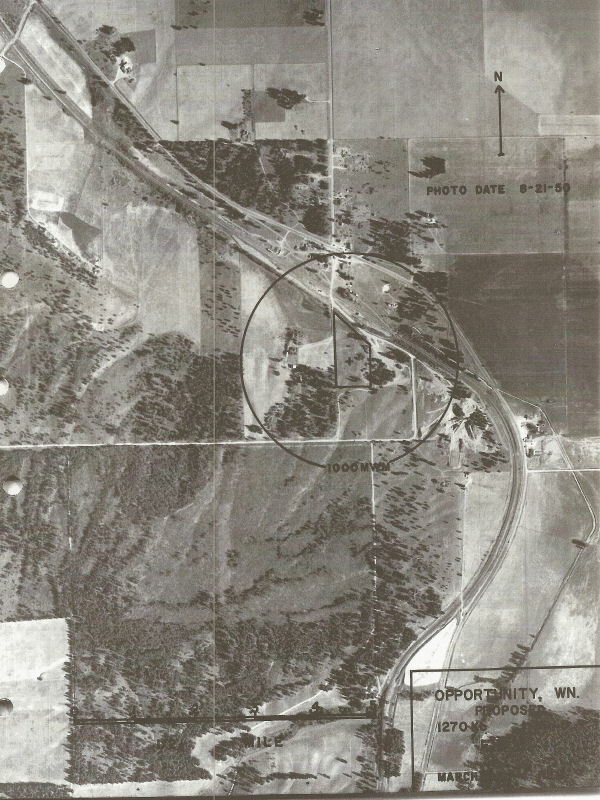 KZUN-AM initially transmitted on 1270 kHz from this facility in December 1955. 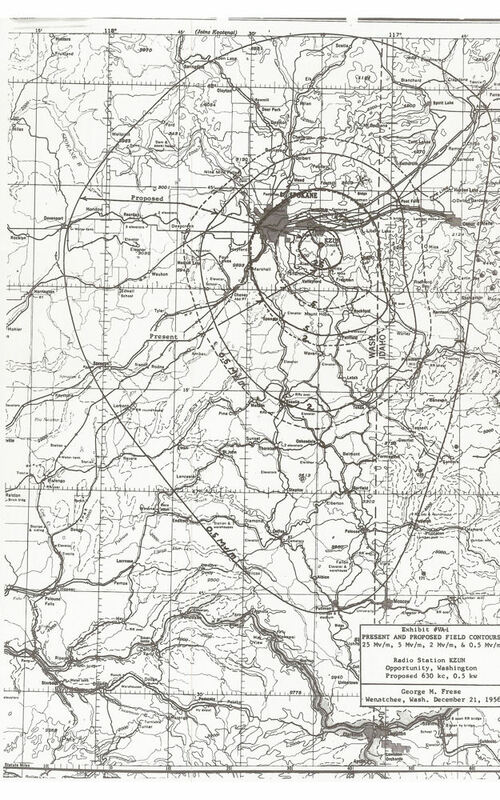 In July 1957, it changed to 630 kHz. 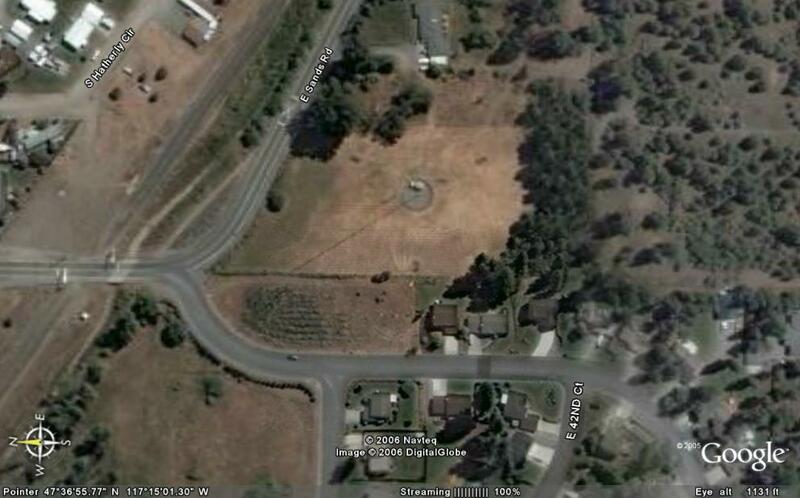 The building which housed the old KZUN offices and studios still stands at 23 South Pines Road in Opportunity. 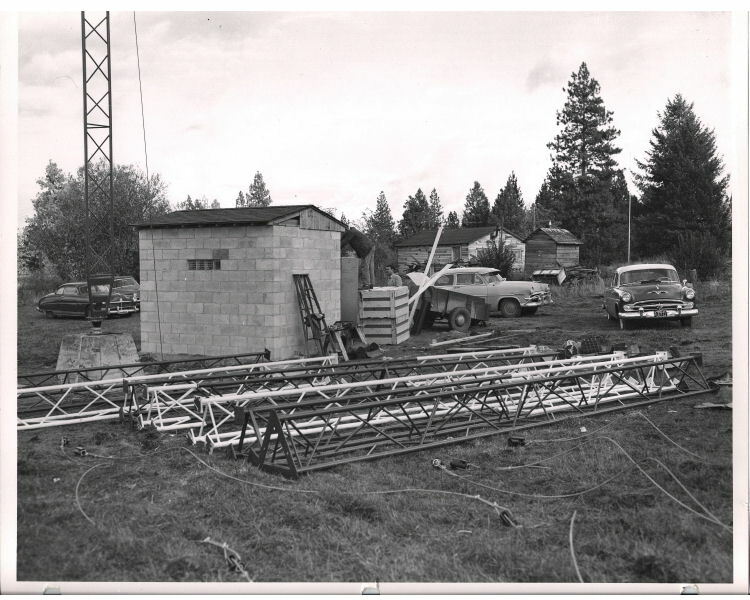 The mast upon which an STL unit and an FM antenna were mounted still stands behind the building. 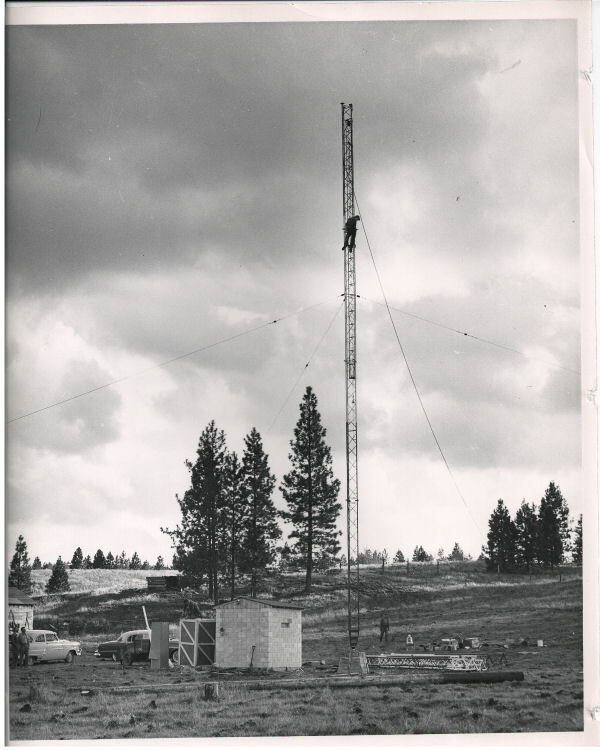 The FCC records state that the first transmitter installed in 1955 at this site was a Gates BC-1J. 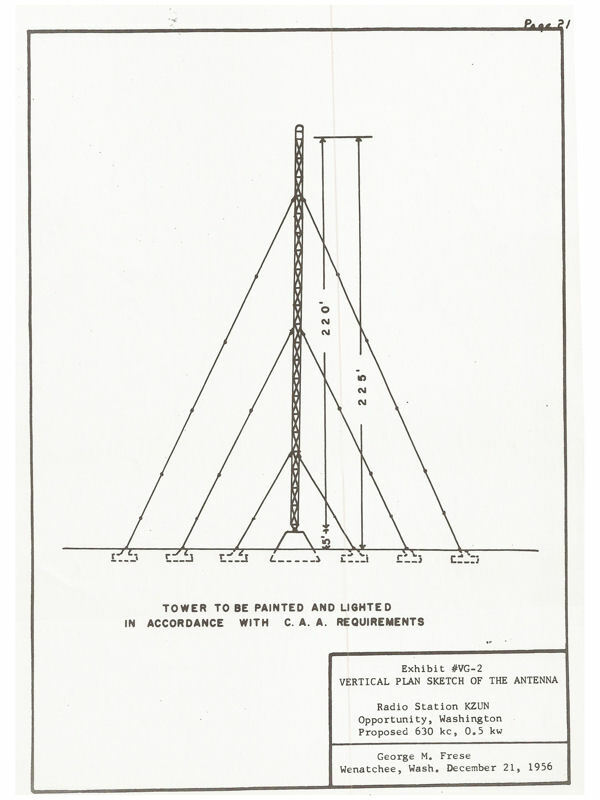 The antenna was 220-feet tall (overall height 225 feet) and was a uniform cross-section, triangular, series excited-vertical steel tower. 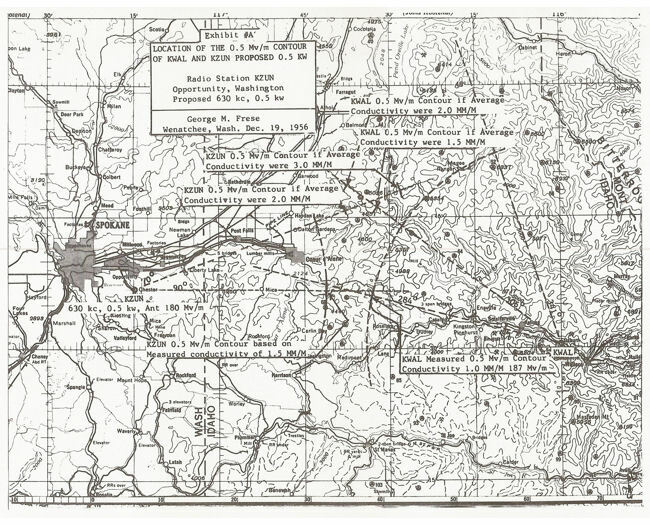 The ground system consisted of 120 195-foot-long radials. 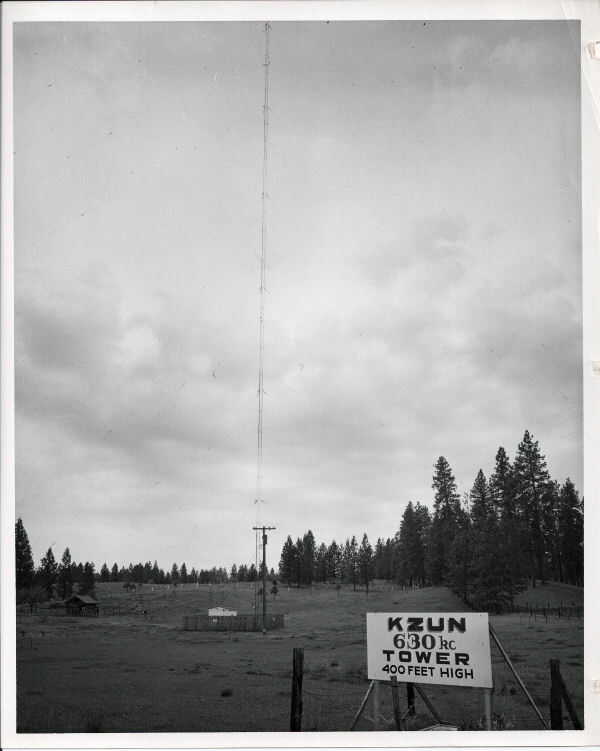 In 1957, KZUN changed frequency to 630 kHz, using the same tower and transmitter that was used for 1270 kHz. 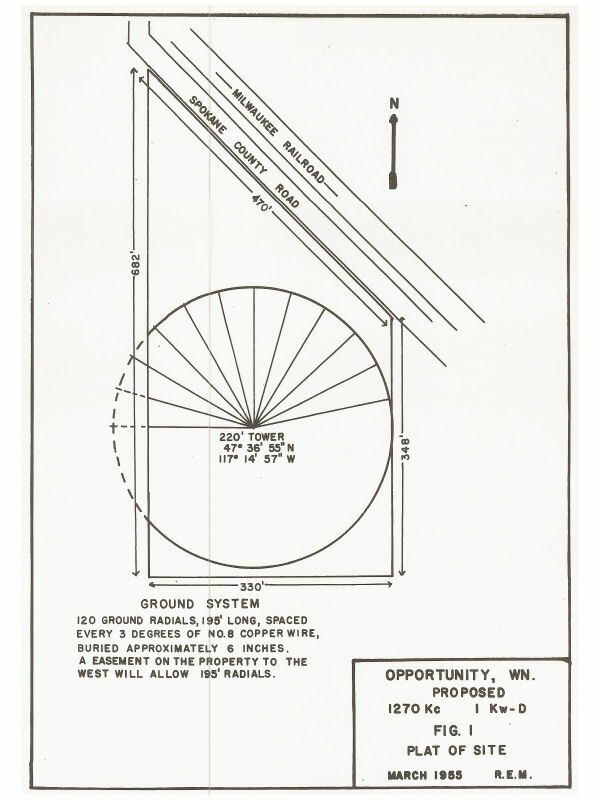 However, they had to obtain easements from neighbors to extend the ground radials to 545 feet, except along Sands Road when the length was limited. 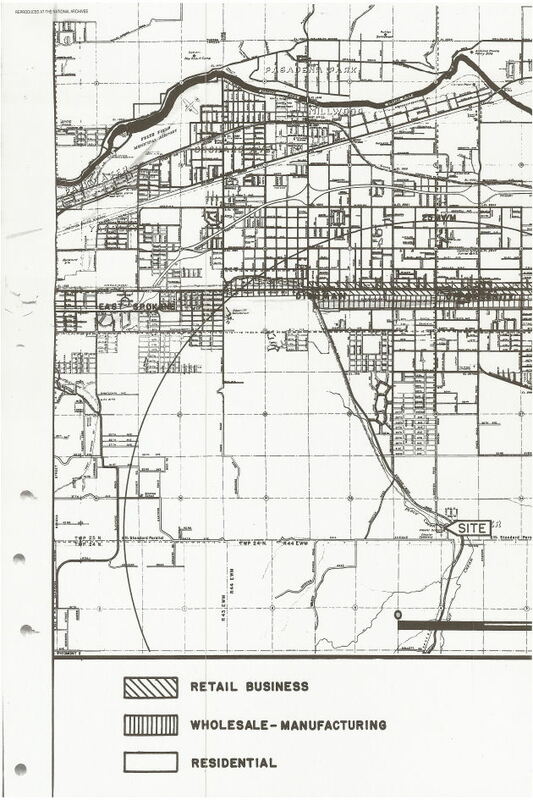 They also had to reduce the power from 1000 watts to 500 watts, mainly due to concerns over overlapping contours with KWAL 620 in Wallace, Idaho and KGND 630 in Edmonds, Washington. 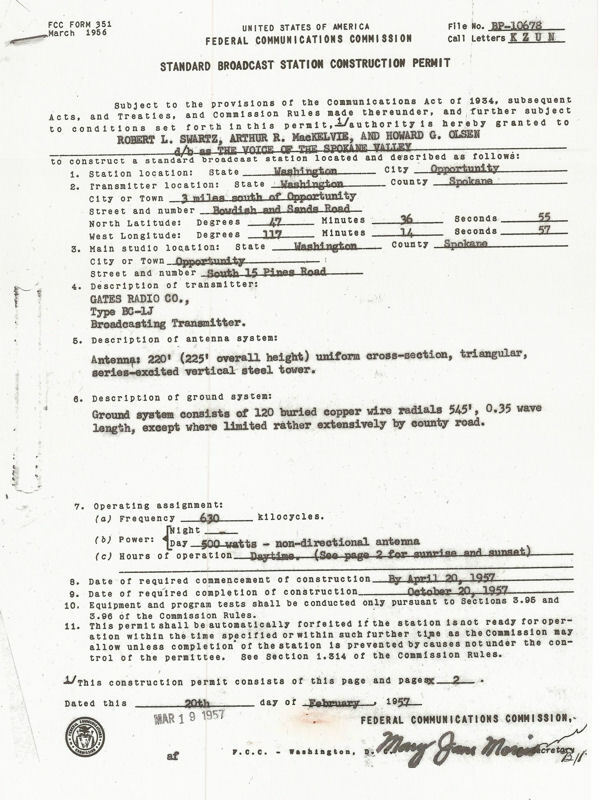 The license to cover the construction permit for the move to 630 kHz was issued on 30 July 1957. 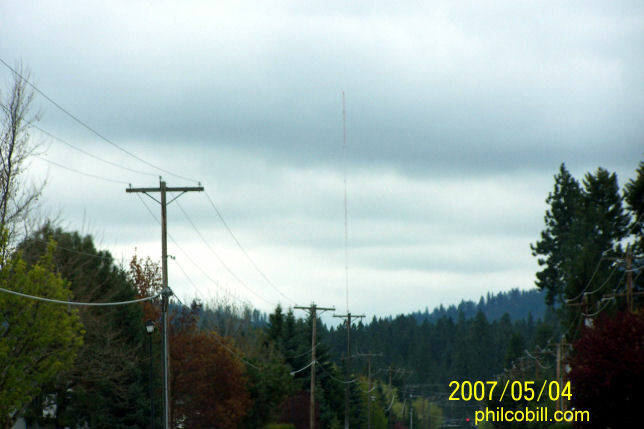 Finally, KQNT started to transmit from this facility on 1 January 2002 on 590 kHz and is the current outlet here at the time of this writing. 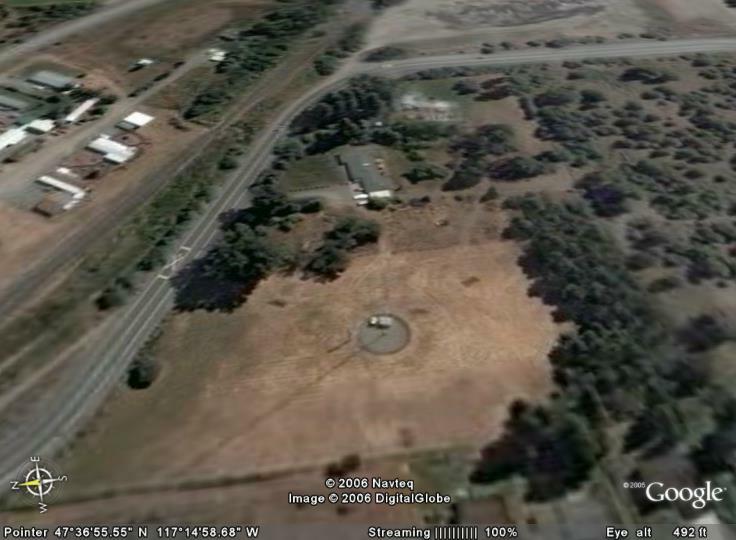 The first time I remember seeing the tower at this site was in the 1960's when I was in Cub Scouts. 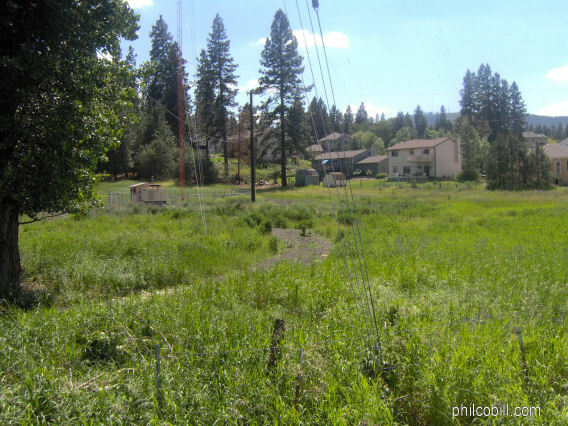 We had a bicycle outing down Dishman-Mica Road. Of course, I have seen the site countless times since. 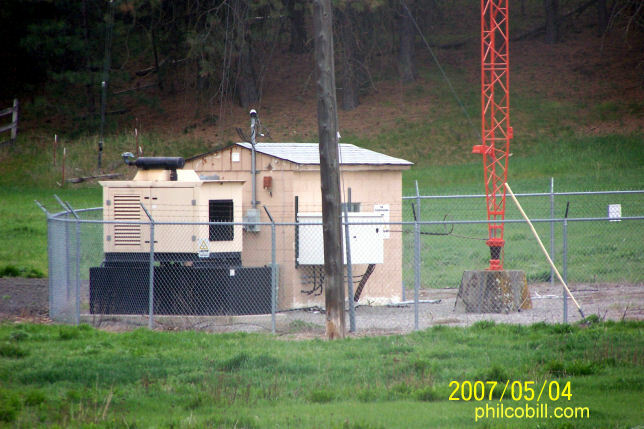 I recently visited the site twice (22 June 2005 and 4 May 2007) and took pictures both times. 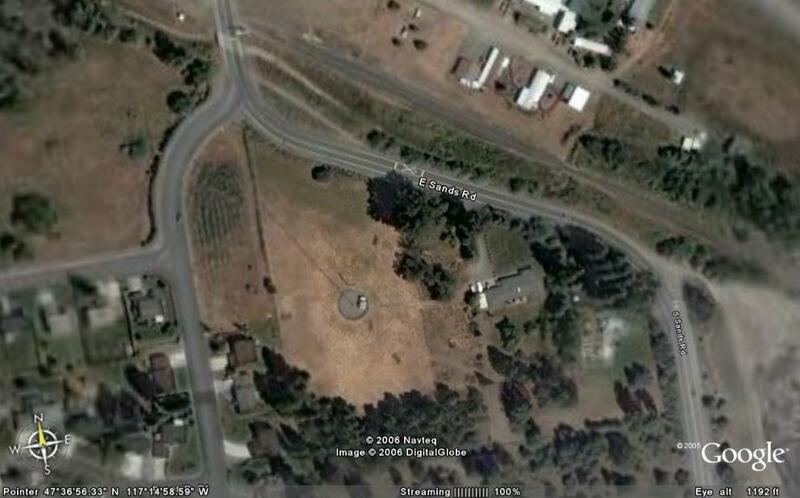 The site is easy to find as the tower is easily visible from Dishman-Mica Road. Callsign Change from KZUN to KGGR. 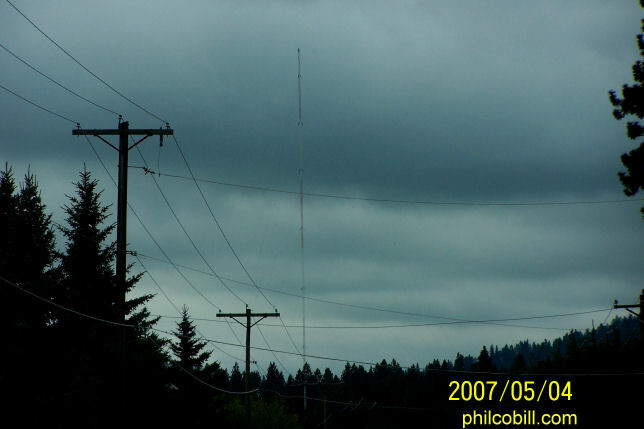 Telegraphic Message from the FCC, Washington, DC to Alpha Radio Inc., Spokane, Washington 99214. 8 September 1982. Callsign Change from KZUN-FM to KKPL-FM. 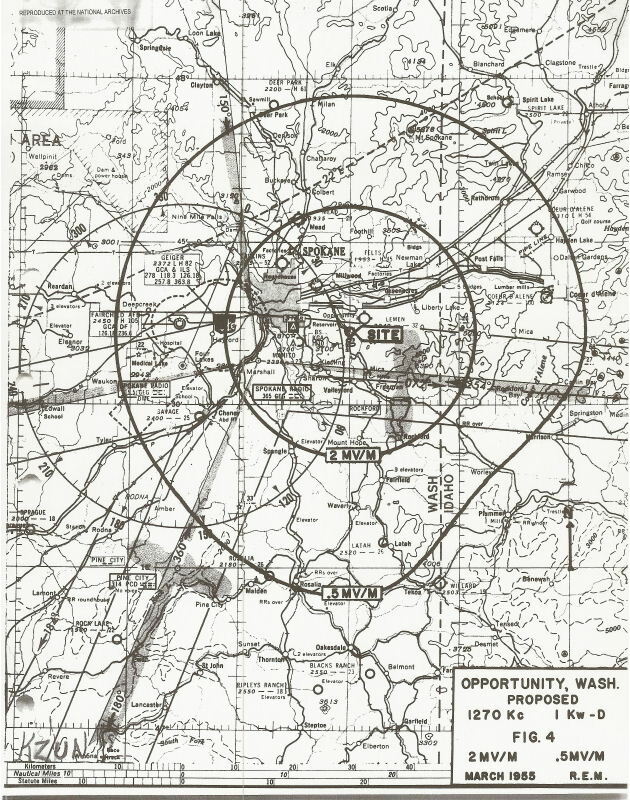 Telegraphic Message from the FCC, Washington, DC to Alpha Radio Inc., Spokane, Washington 99214. 12 January 1982. 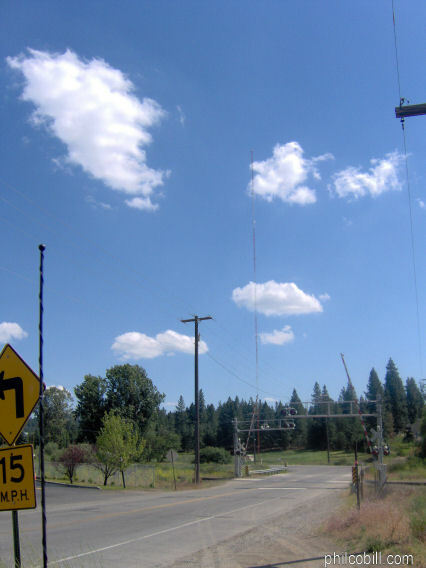 Consent to Transfer Control for KZUN, inc. from FCC, Washington, DC to KZUN, Inc., Spokane, Washington. 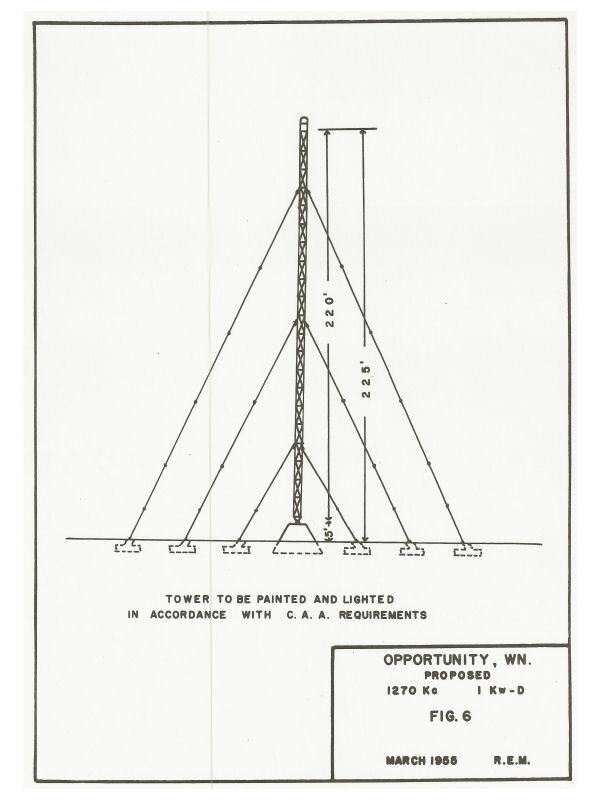 14 October 1981. Fybush, Scott. Email correspondance in May 2007. 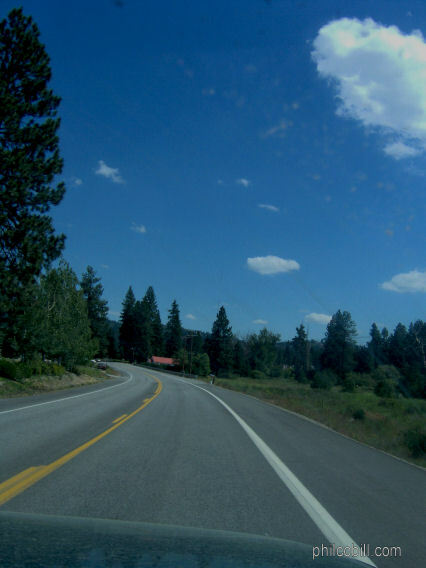 Near Dishman-Mica and Sands Road.